Albert Einstein, an Ashkenazi Jew (secular in religious outlook), was born on Friday, 14 March 1879 in the historic city of Ulm, Kingdom of Wurttemberg, in the then German Empire. His father, being an engineer and a salesman, gave little Einstein every encouragement and adequate technical backing to pursue a technical career. He was very inquisitive and tenacious. Nothing he would consider as unattainable. As a child he wondered if he could ride on a beam of light! He said about himself years later, ‘God gave me the stubbornness of a mule’. As a child he was not a prodigy by any means. As a strong headed boy, he intensely disliked strict disciplinarian life, either at school or at home. But he would pursue his curiosity, his objective with passion and energy. Years later, he said, “Learn from yesterday, live for today, hope for tomorrow. The important thing is not to stop questioning”. Aspiring to take up a career in physics, particularly at a university, at that time was not easy. He scaled down his ambition and for nearly two years, he even tried to get a school teaching post, but without success. Eventually on the recommendation of the father of his close friend, he managed to get a humble position at the Swiss Patent Office in Bern, capital of Switzerland, in 1902 as a ‘Technical Expert – Third Class’. Although the position was lowly, but the salary was quite handsome. This job, according to him, brought an end to ‘the annoying business of starving’. What inspired Einstein to write his first ground breaking paper in 1905 advancing the proposal on the quantum theory of light was Max Planck’s paper detailing the solution of the blackbody problem with an outline of hitherto unheard of quantum concept of emission and absorption of light a few years back. Einstein read the paper and was completely overwhelmed by this radical concept of Max Planck. Einstein carried forward that quantum idea and produced a paper on photoelectric effects of light with the title “On a Heuristic Point of View Concerning the Production and Transformation of Light” for the journal ‘Annalen der Physik’, world’s leading physics journal in Germany, and posted it on 17 March 1905. Max Planck happened to be the adviser on theoretical physics to that journal at that time. Despite Planck’s reservation with Einstein’s mind-boggling concept of particulate nature of light, sweeping away the age-old concept of wave nature of light, he allowed the paper to be published simply because of its radical nature. Einstein produced altogether four papers between this date of 17 of March and 30 of July,1905. The second one was from his Ph.D. dissertation where he set out a way of determining the sizes of atoms. The third one was the explanation of Brownian motion of atoms and molecules. The fourth one was, as Einstein himself admitted, a rough draft on “On the Electrodynamics of Moving Bodies” giving details of the concepts of space and time. Max Planck read all of these papers, but when he read the last paper, he was simply blown away. Although Einstein did not call it ‘the theory of relativity’, Max Planck called it so and the title stuck with it ever since. No other scientist, except Isaac Newton, had ever produced as many groundbreaking monumental papers in such quick succession as Einstein did in 1905. He was only 26 at that time. Isaac Newton, an Englishman, at the age of 23 produced the gravitational law and advanced the theory of light, all in 1666! Oh, he also laid the foundation for calculus in the same year! 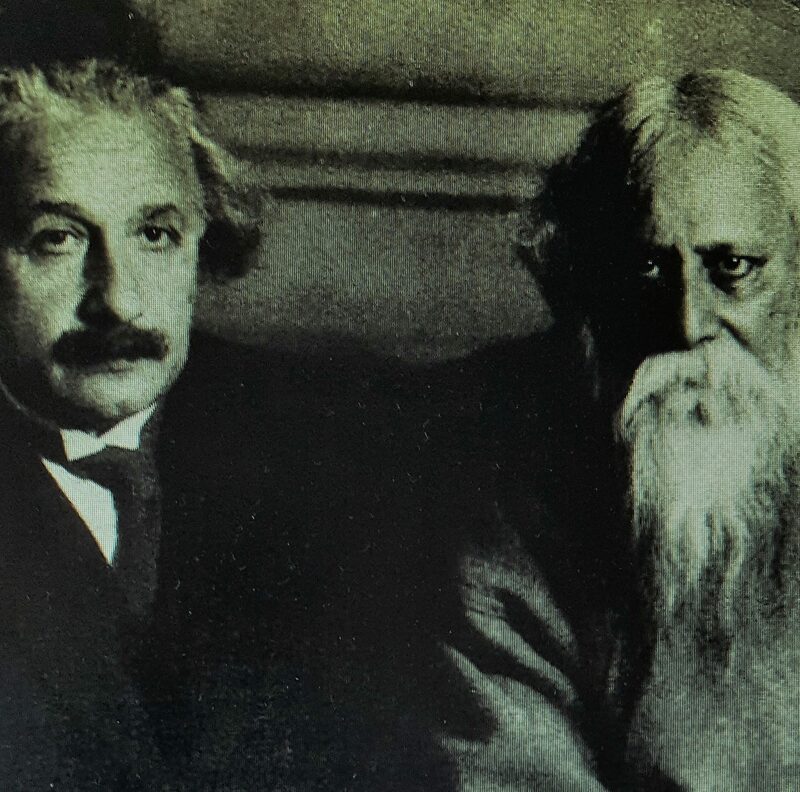 It is amazing to note that these two prodigal physicists dealt with the same physical problems – theory of gravity and theory of light – with incredible ingenuity.